I just wanted to pop in and send well wishes to all of you wonderful readers for the new year! 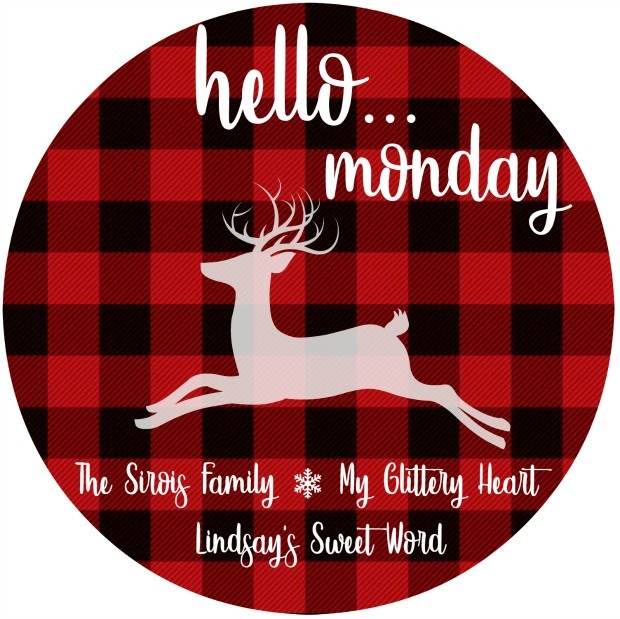 I don't have a real post planned for today but wanted to have something up for those of you who might be looking for our Monday link-up. I pray each and every one of you are blessed with excellent health, lots of love, and loads of prosperity in 2019! May this be your best year yet! Thank you so much for reading! I’m so thankful to have each and every one of you along for the ride for another year! Oh 2018, you were mostly good to us and you will definitely go down in history as a great year over all! It was the year of Olivia’s cancer scare. She developed a lump on her thyroid that turned out to be a thyroid nodule and she had to have several medical procedures including a surgical needle biopsy under anesthesia. Thankfully, the pathology report came back with the very best results… it was non-cancerous! It was the year that the thyroid nodule came back and we had to deal with doctors all over again. 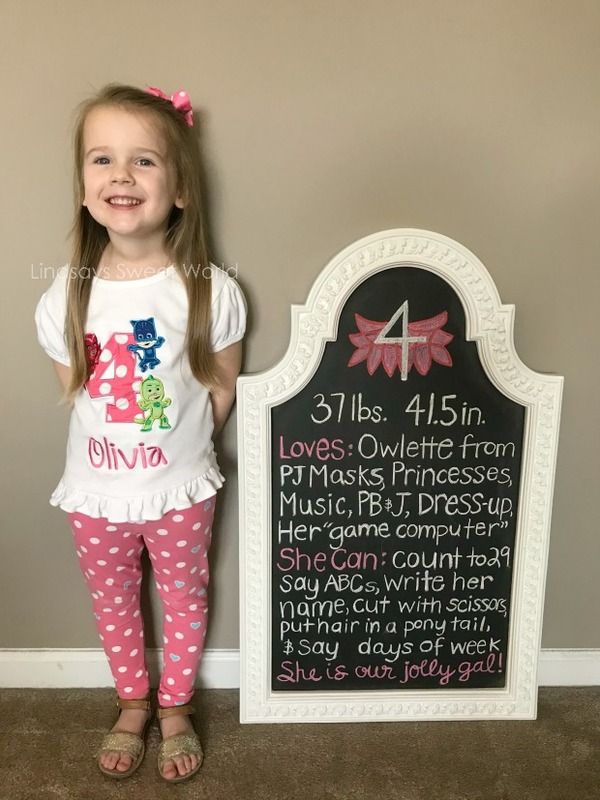 Thankfully, we received good news that Olivia's hormone levels are normal, so we were able to avoid surgery. Our doctor has a game plan and we feel that she is in good hands while we monitor it over the years until she’s old enough for them to remove it. In the meantime, we are just praying that it continues not to grow, or even better, that it shrinks and goes away on its own. It was another year of horrendous allergy issues / scary breathing problems… I legit thought I was going to suffocate and die a couple of times. Dramatic, I know, but it was terrifying. BUT it was also the year that my doctor finally figured out what is going on so we can now know how to treat it properly… reflux?! It was also the year that my Nana’s (Daddy’s mom) health started failing to the point where she could no longer care for herself. It was sad seeing her deteriorate so quickly and it has been even sadder watching my Daddy go through everything this year, but she is now in a nursing home with the proper care she needs. That is a good thing. And it was the year that we had to say "see you later" to one of my dearest friends because she moved away to South Korea. Y’all, I had TWENTY bad things on my list for 2017 and this year I only have FIVE. If that doesn’t go to show you how much better this year was than last year then I don’t know what does! Now for the good… and there’s just so darn much of it! It was the year that we welcomed Brian into his 40’s! It was the year that we celebrated our jolly gal’s fourth birthday! It was the year that I celebrated three years of blogging! 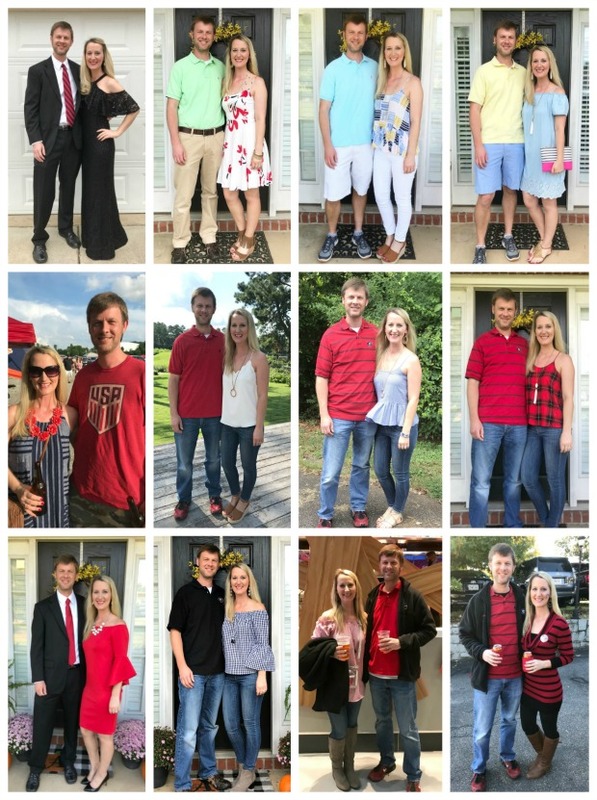 It was the year that B and I went on 13 dates! We always try to average one per month and we did it yet again (and then some) for the third year in a row! It was the year that we went on several weekend getaways. It was the year that we took three big family vacations which included our first trip to DISNEY WORLD!!!! And friends, this totally made our entire year! 2018 will forever be one of my favorite years JUST because of this vacation. It was literally perfect in every single way. We are already planning our trip back! 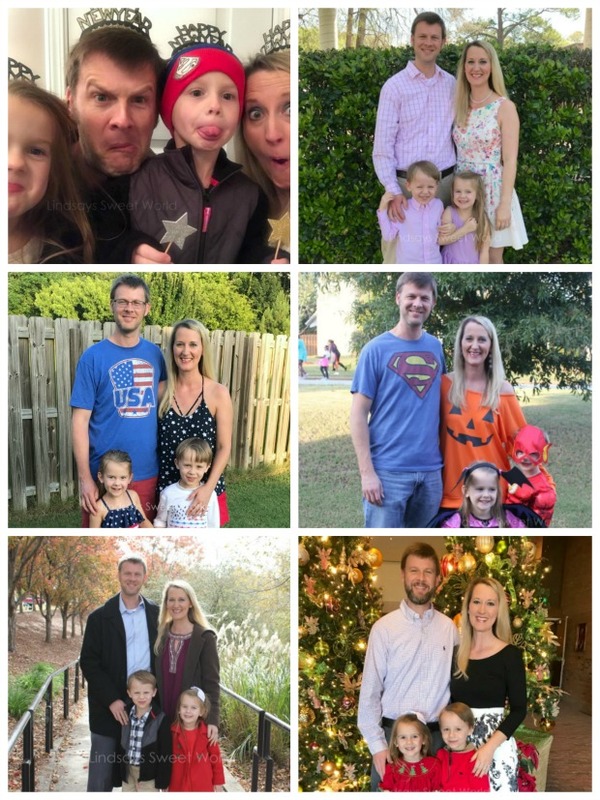 It was the first year ever that I was able to enjoy the summer off at home with my babies, and we made some sweet memories that I’ll cherish always! It was the year that we celebrated Jacob’s seventh birthday. 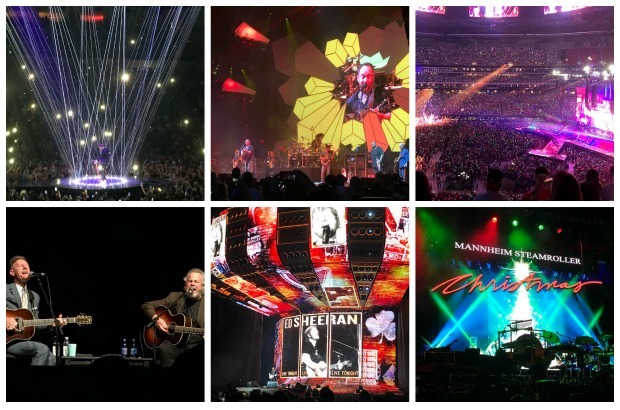 It was one of our best years for concerts YET! We went to six concerts and they were all just phenomenal. What a year for music! 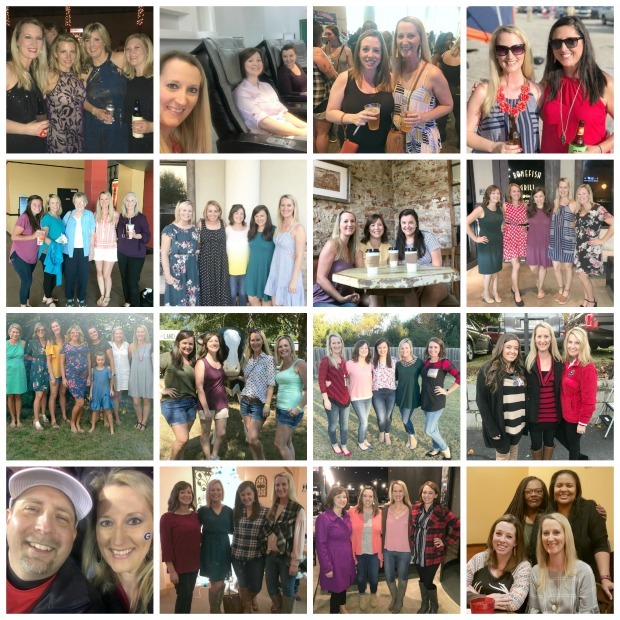 It was the year that I got to spend lots and lots of time with my friends, with and without kids. Not working at a corporate job definitely has its perks! 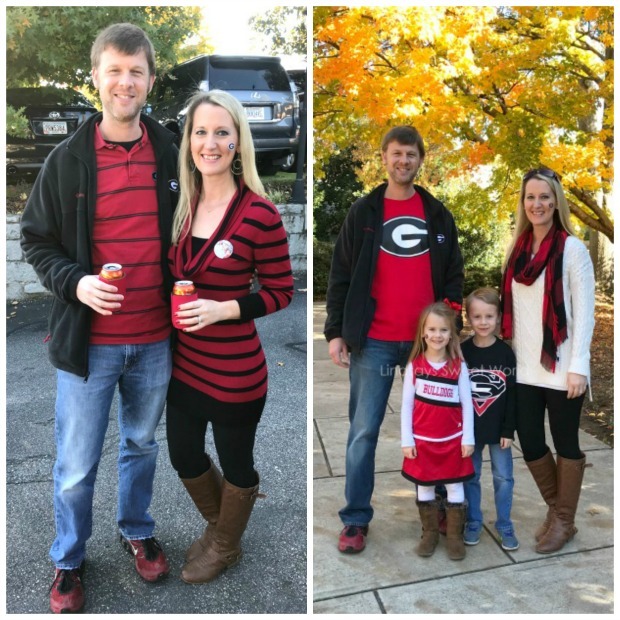 It was the year that our Georgia football team did great once again… although, they just couldn’t get us to the Natty again. We managed to make it to two games this year, one for just B and me, and one as a family of four! It was the year that I found my groove as a stay-at-home mom. Although, I still miss my coworkers daily, I am loving this stay-at-home mom life SO MUCH. It was the year that I experienced less pain than ever. You may remember that I’ve had chronic back/pelvic issues since Jacob was born, and I’ve had less pain this year than I have since he was born thanks to my wonderful pelvic physical therapist! I swear, she is an angel sent straight from heaven! She has worked out so many of my issues. I still have a couple that are lingering, but I'm hoping to take care of those in the new year with yet another doctor. To say it's been a long road is an understatement. It was the year that we celebrated our eleventh wedding anniversary. It was the year that my brother and sister-in-law moved back home so I can finally love on my nephew and niece up close and personal, instead of from afar. It was another year of wonderful holiday celebrations. It was the year I shared some new recipes with you here on the blog. It was the year that I shared some fun DIY projects with you. It was the year that I decluttered our entire house from top to bottom. It was the year that I got super organized and I shared some of my organizational tips with you. 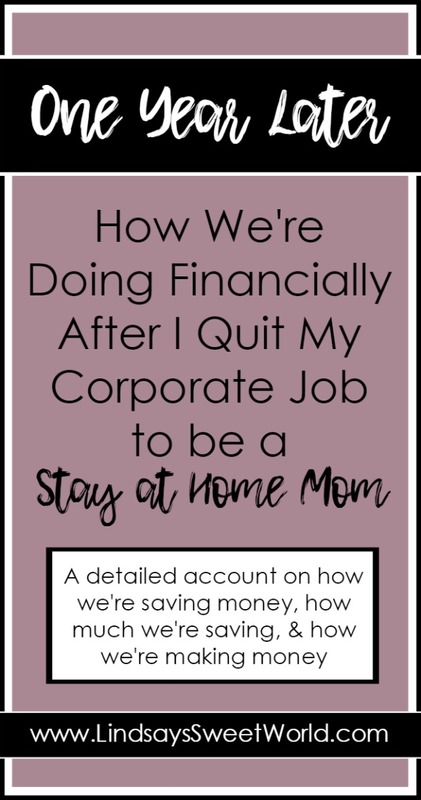 It was the year that I shared a peek at our finances and how we are saving money now that I am staying at home after quitting my corporate job last year. It was the year that I had another blog post go viral on Pinterest which opened some new doors for me. It was the year that I started making real, decent money here on the blog with sponsorships, affiliate marketing, and ad revenue. It was the year that I started hitting 50,000 pageviews in one month… a new personal best for me! It was the year that I was accepted into the Mediavine family… a goal I’ve had on my list for a long, long time. It was the year that I finally realized that I might actually be able to be somewhat successful at this blogging thing. And since this is a Five on Friday post, I’ll leave you with my top five most viewed posts that were written in 2018. This post is at 2,642 views and growing. This post is currently at 4,845 views and growing. This was my follow-up to my main post that went viral (number one below). This post is currently at 8,450 views and growing. I totally understand the hype around this one… it’s delicious. And finally, this post was my most popular post of 2018 by a landslide. It is currently at 163,752 views and still growing. I can’t even believe it! It has now surpassed my original viral blog post – Olivia Cate’s Pink and Gold First Birthday Party. I honestly never thought that would happen! And just for kicks, here are my Top Nine most liked photos on Instagram in 2018! Apparently y'all love letter boards, graphic tees, and anything else you can put something witty on... like a cup. We started the morning out with donuts for breakfast and then I was in the kitchen all morning chugging coffee in my Jolly AF Christmas mug and baking and cooking for Christmas Eve dinner while the kiddos and B watched more Christmas TV specials. We went to Christmas Eve mass at 4, as always, because that is the children’s mass. We arrived really early as always since it gets so packed in there, and once we had our seats, we went back out to the commons area to snap a few family photos in front of the Christmas trees. While we were out there, Father Robert came out and asked Jacob and Olivia if they wanted to do the honor of carrying Baby Jesus down and placing him in the manger at the start of the mass. My heart did a little flip-flop with nerves because – HUGE responsibility in front of a good 800-900 people – and it also swelled about ten times its normal size because I was just so honored that they had been chosen with such a special task. The kids quickly agreed that they would love to do it, so Father Robert walked them through their steps and what they needed to know, and then we headed back to wait with the altar servers before it was time to go. I stayed with the kids the entire time until it was their turn to walk down the aisle, and then I hung back at the back of the church while they went in with the processional. They both did so wonderfully… Olivia carried Baby Jesus all the way down the aisle, handed him over to Jacob, and then Jacob placed him gently in the manger at the front of the church. Father Robert had asked both of them to kneel down and say a little prayer after Jesus was placed in the manger, and both of them did. Olivia’s prayer lasted a loooong time and apparently she really touched (and cracked up) a lot of the people in the church. They were both escorted back to their seats by one of the altar servers and then we proceeded with mass as usual. After church, lots of people came up to us to tell us how touched they were and how well Jacob and Olivia did. Several people said that they had tears in their eyes because it was just so precious and I had to agree as I cried like a baby the whole time I watched, too. It will forever go down as my favorite mass of all time. I thought my heart might just burst. What an extra special Christmas gift! 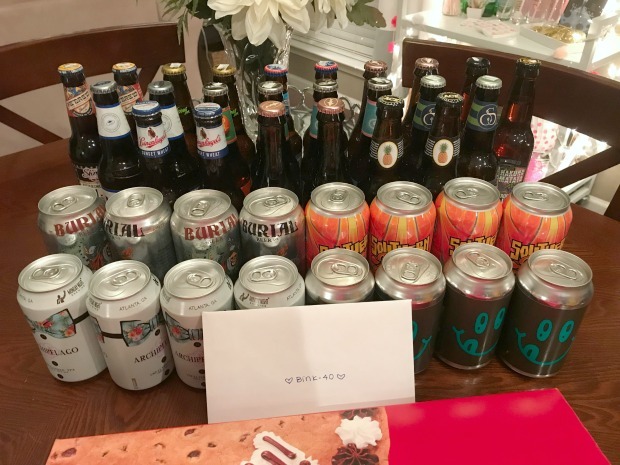 After mass, we headed home, scooped up all of our gifts, drinks, dishes, pajamas, and everything else we needed, and then we headed to my parents house for my favorite four hours of the entire year! 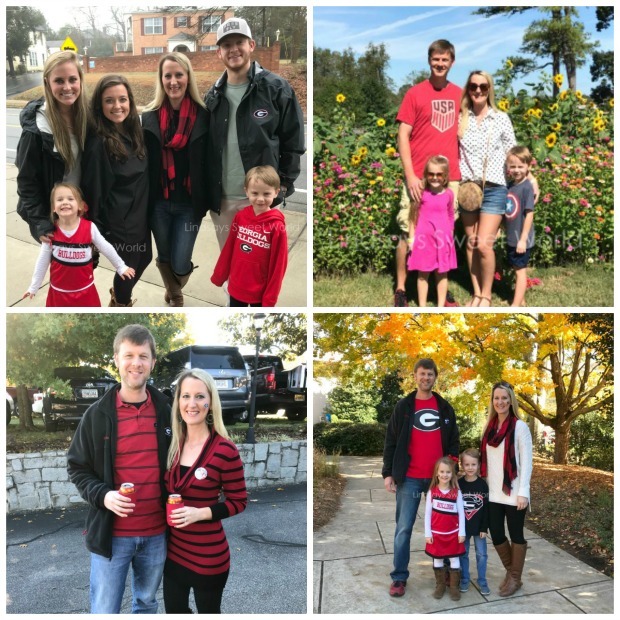 We had a house full – my Momma, Daddy, two brothers, sis-in-law, niece and nephew, uncle, father-in-law, and then B, myself, and our two kiddos. Whew. We had our usual spread of ham, dressing, mac n cheese, green beans, sweet potato soufflé, and all of the other fixings, and I mixed up some Winter White Cosmos for all of the ladies while the guys drank wine. After dinner, Momma and I cleaned up and then we all opened presents. The kids then put on their jammies and we fired up Home Alone as we always do. There was coffee and dessert around 10 and then it was time to call it a very late night. When we got home, we left cookies for Santa, said our goodbyes to Cheek (who had finished the puzzle!) and went straight up to bed. Olivia was asleep by the time I had blinked, but Jacob took a little longer to fall asleep this year, his anticipation of Santa taking over his exhaustion from staying up so late. Once they were asleep, B and I turned on a Christmas movie and got to work, but fortunately this year we were in bed by 12:30… a new record! Both kids were so exhausted the next morning that B and I were up before they were (we had set an alarm so we didn’t all sleep the day away) and as we were heading out to wake the kids, Olivia came bounding in our room on her own. We let her wake Jacob, and then it was time to head downstairs to see what Santa brought! The kids both loved their gifts. They opened stockings, and then once all of the Santa gifts had been pored over, they opened their gifts from us – a scooter and a new car and track for Jacob, and a jewelry box with a real necklace (per her request) and real makeup (that she won’t be wearing in public) for Olivia. B and I opened our gifts from each other and then it was time for Olivia's Hatchimal to start hatching. We all gathered around and watched that thing peck its way out. Lol. The things these toy companies come up with these days!! Afterward, it was time for me to start preparing for breakfast. The same crowd from the night before came over for breakfast casserole, donuts, apple fritter bread, and pancakes, and then once breakfast was over they all headed back home. We all sat around played for the rest of the day and assisted Olivia with her new makeup, and B and I both squeezed in little cat naps as well while the Christmas tunes played full force in the background all day. Around 4 it was time for me to bake my pineapple casserole for our gathering later in the day, and then it was time to get ready and head out to my aunt and uncle’s to get together with my mom’s entire side of the family. We feasted and drank once again, and we all hung out all evening. My cousins from Colorado and Cali were both in town with their babies, so all of the second cousins gathered down in the basement to play and burn all of their energy. My cousins and I are all spread out across the United States – Colorado, California, Texas, Georgia, etc. so Christmas Day is the only day each year that we’re all together. Since we were all there, my mom and aunts snapped some pictures of all of us with our Mama Cass (grandmother). So crazy that all twelve of us are here because of she and my grandfather! We also snapped a few pictures of my Mama Cass and all of her children (my mom and aunts and uncles). One of my uncles was not there, though. We headed home around 9 and both kids were exhausted once again by the time we got home. B and I got them in the bed and then watched the end of The Grinch before calling it a night ourselves. Another amazing Christmas Eve and Christmas Day are over, but we are excited because we still have two more Christmas celebrations next weekend with Brian’s family!!! !